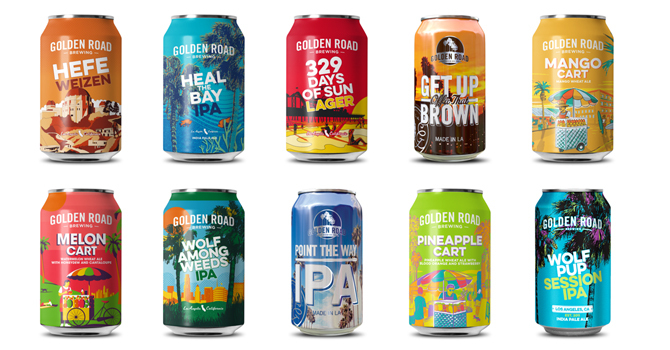 Nearly three years after being acquired by Anheuser-Busch InBev, Los Angeles’ Golden Road Brewing is beginning to see the advantages of being owned by the world’s largest beer manufacturer. In the last six months, Golden Road has launched its flagship Wolf Pup Session IPA nationally, and opened a pair of satellite brewpubs in California. According to market research firm IRI Worldwide’s multi-outlet and convenience (MULC) universe of stores, sales of the company’s beer have increased 100 percent through April 29. 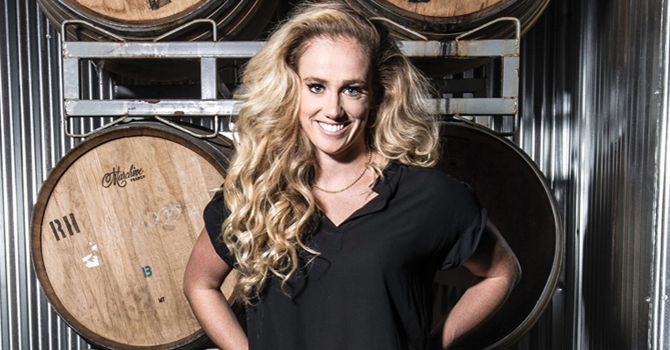 Speaking with Brewbound, Golden Road co-founder Meg Gill said the brand still has room to grow, especially in California and, in particular Los Angeles, where it accounts for about 1.3 percent of all craft beer sold. Golden Road has made progress on its mission in LA. Through April 29, the company’s sales have increased 51 percent in LA food stores, according to IRI. Meanwhile, IRI-tracked sales in the broader southern California grocery channel are up 54 percent, Gill shared. On the path to a million barrels, Gill said she wants Golden Road to become more fully integrated into A-B’s system and capitalize on its go-to-market strategy. “We want to be a bigger part of the A-B business and the A-B strategy,” she said. As such, Golden Road plans to build around Wolf Pup and other sessionable innovations, such as its Fruit Cart series. Sales of Wolf Pup have increased 462 percent in the 52 weeks ending April 29, according to IRI’s U.S. multi-outlet channel. In the firm’s Los Angeles multi-outlet channel, Wolf Pup sales grew 279 percent in the last year. Helping drive those numbers is the addition of 15-pack cans, which Gill said delivers greater value to consumers. “You’re expanding the occasion for your brand, which is obviously a good thing,” she said. And after a seasonal run last year, Golden Road has made Mango Cart a year-round offering in 6- and 15-packs as well as 25 oz. single-serve cans. By shifting Mango Cart production to A-B’s facilities, Gill said Golden Road freed up capacity to brew its latest Fruit Cart series beer — Pineapple Cart — which is slated for release later this month. In addition to leveraging A-B’s brewing resources, Golden Road has also expanded its focus on growth via satellite brewpubs. Adding locations throughout California has also enabled the company to increase its focus on innovation. Last week, Golden Road opened a Sacramento outpost, its fourth in California. The company also has two Los Angeles operations and a brewpub in Anaheim. About 5,000 people visited the Sacramento spot during its first four days in operation. As for Anaheim, which opened in November, Gill said the company is planning to expand its capacity at that facility by transitioning from a 15-barrel to a 30-barrel brewhouse next year. And at least one more Golden Road brewpub is in the works. Despite opposition from neighboring residents, the company is still planning to open an Oakland outpost, which Gill said is still in the permitting phase. “Oakland is still going slower than we’d like, but everything is on time,” she said. Finally, the third season of Gill’s Viceland series, Beerland, is scheduled to start May 22. Gill said episodes this season will touch on the intersection of black culture and brewing as well as why women have been historically underrepresented in the beer industry.